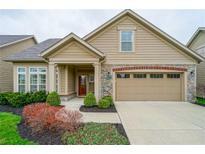 Find McCordsville, IN Condos for sale. View Photos, Maps and MLS Data Now! The Villas At Geist - Fully irrigated yard, including plant beds. Custom patio & gas fire pit. MLS#21634985. Berkshire Hathaway Home. The Villas At Geist - Master bedroom has walk in closet. Over sized 2 car garage. MLS#21594345. Berkshire Hathaway Home.